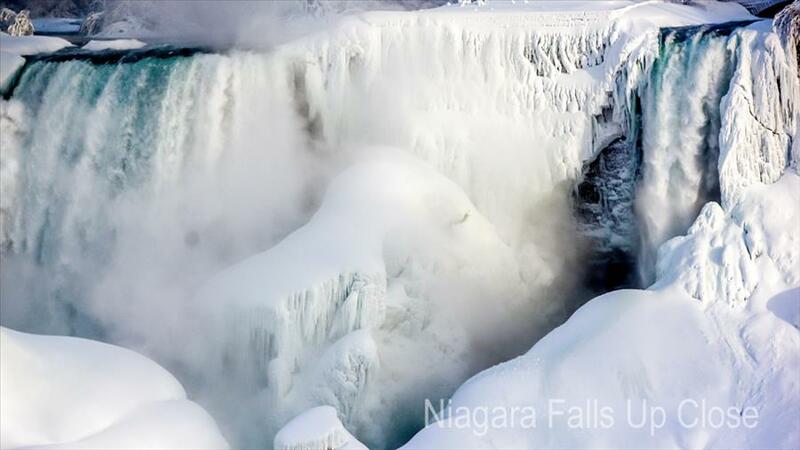 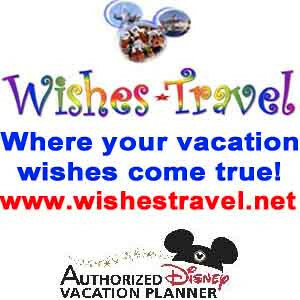 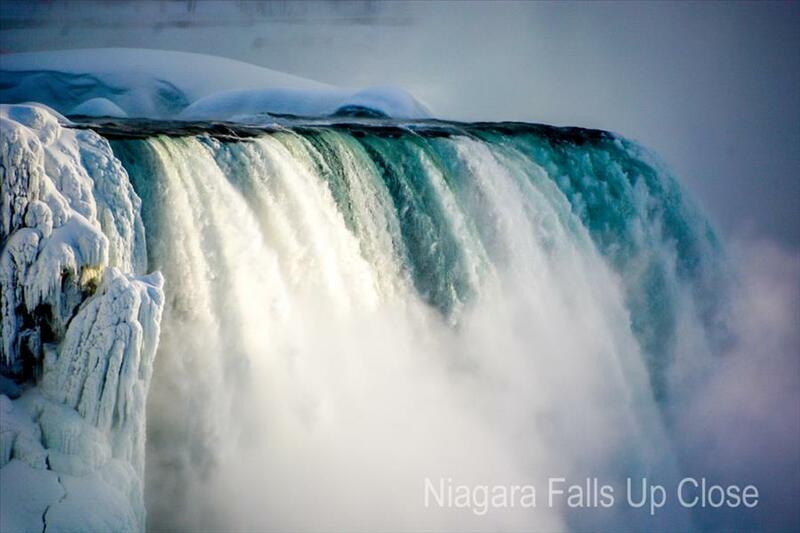 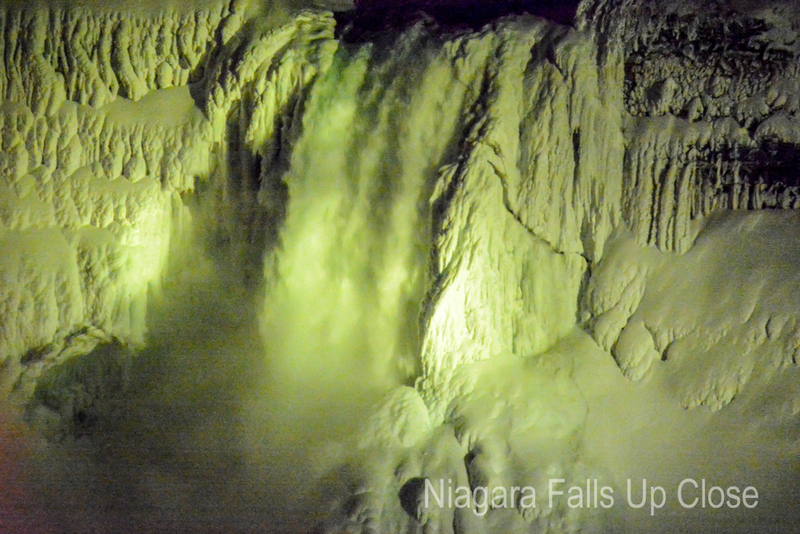 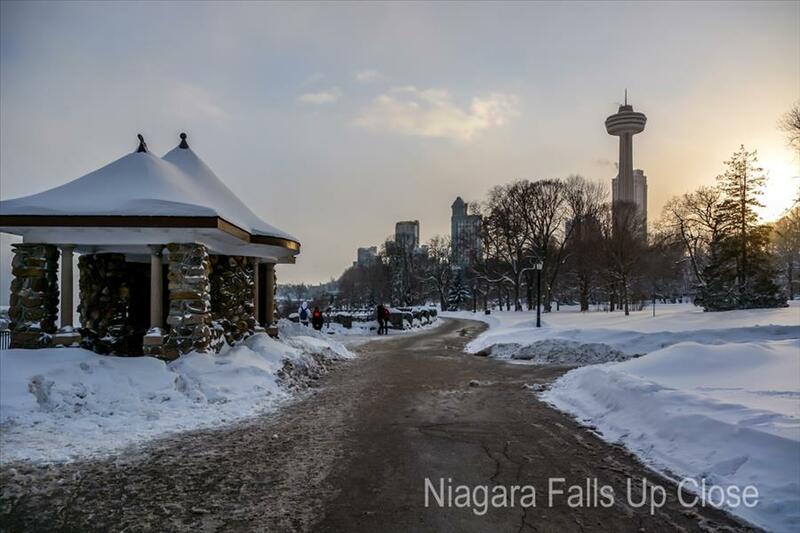 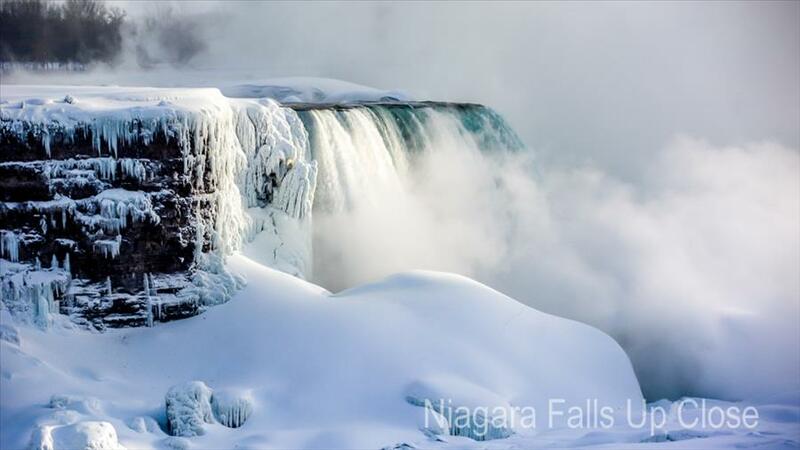 Niagara Falls is a spectacular sight all summer long, but the Falls covered in ice and snow is a feast for the eyes. 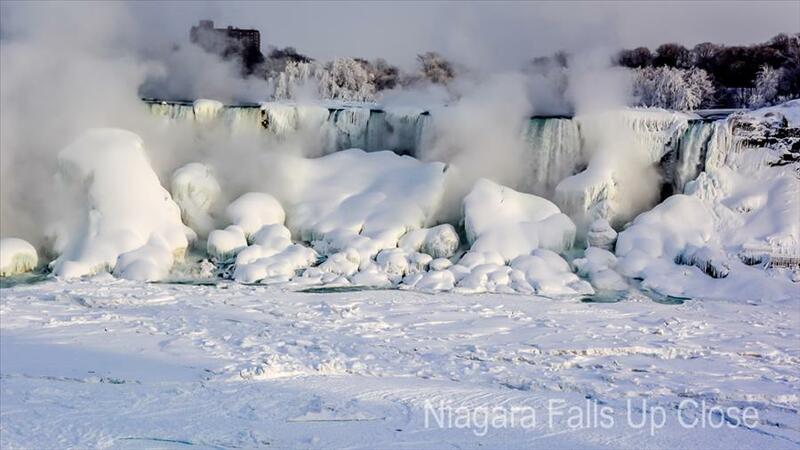 During the day the sun glistening off the ice covered trees and mighty cascade of water is worth braving the chilling winds. 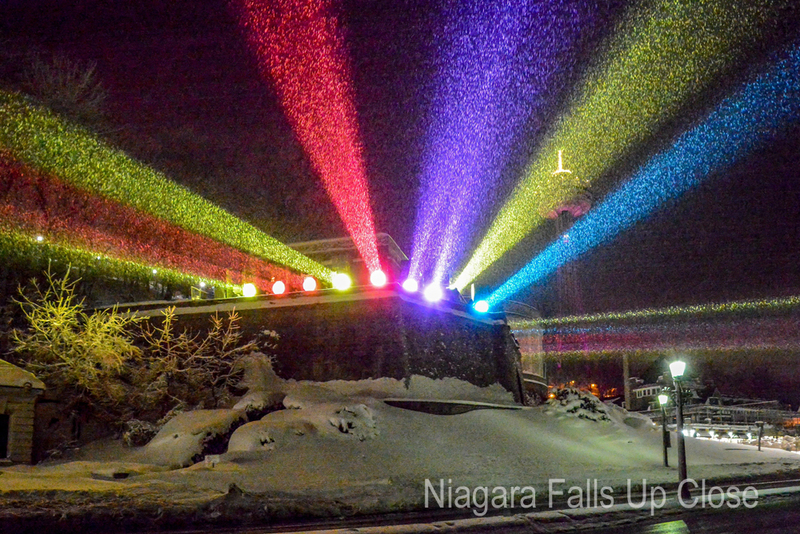 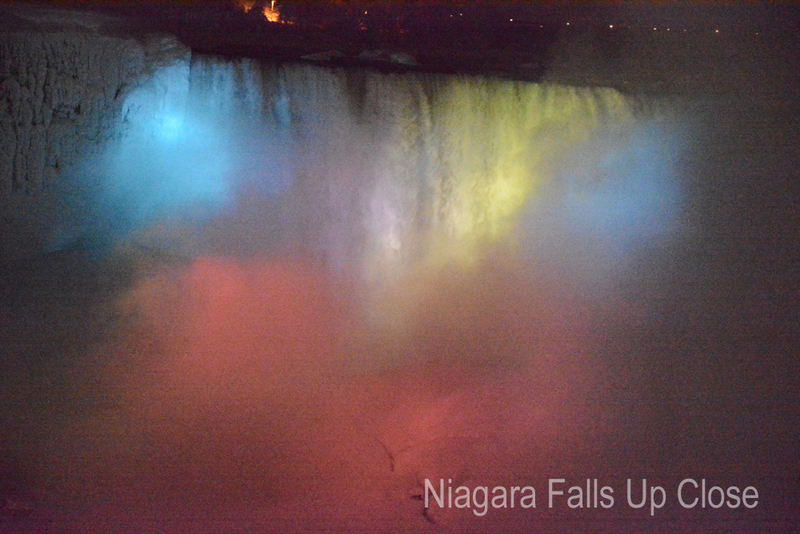 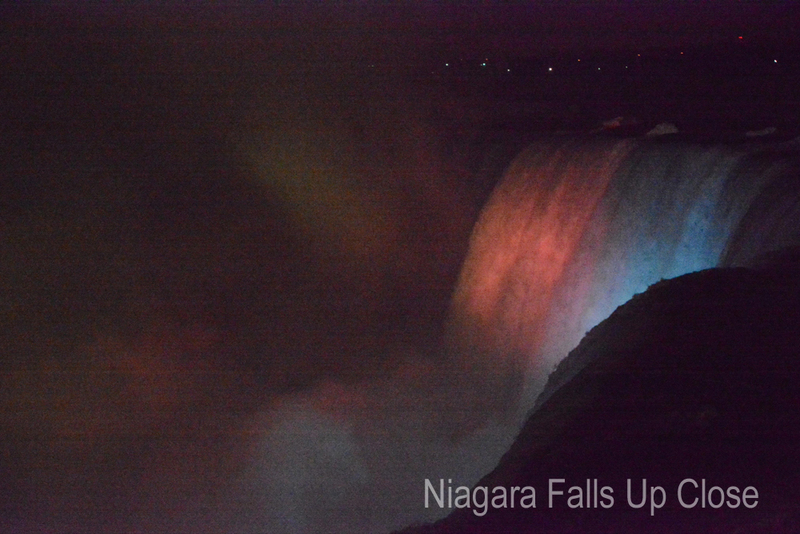 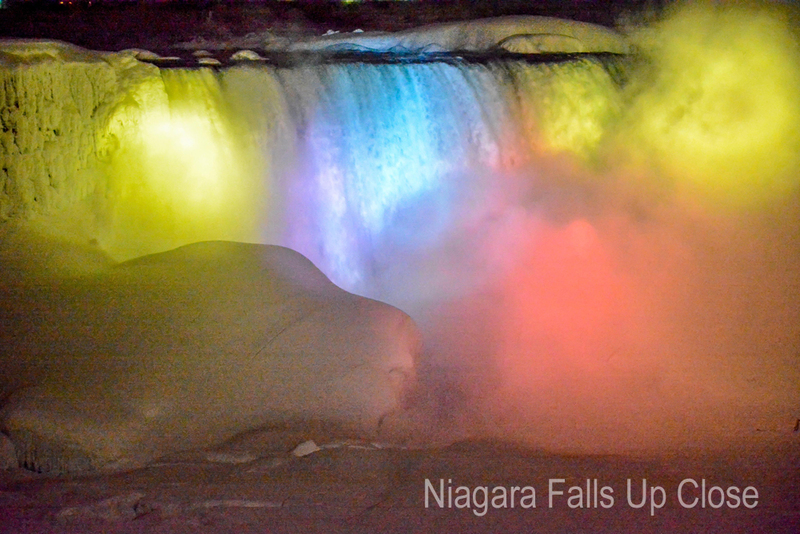 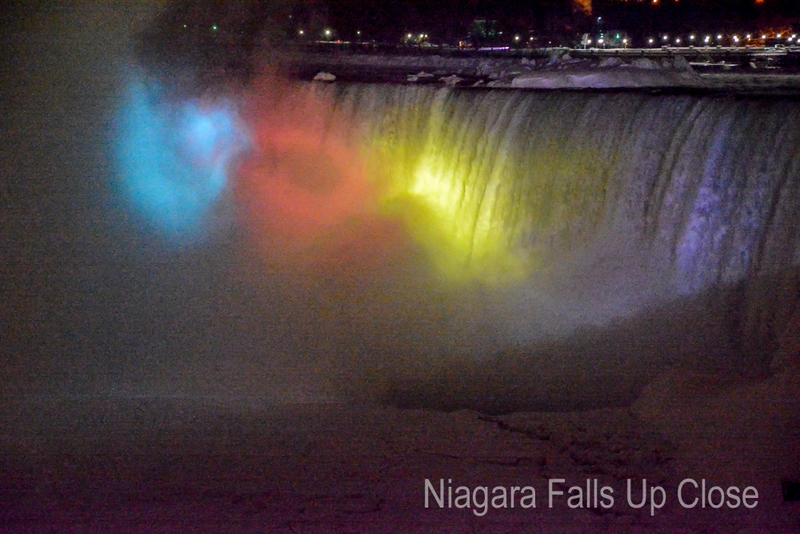 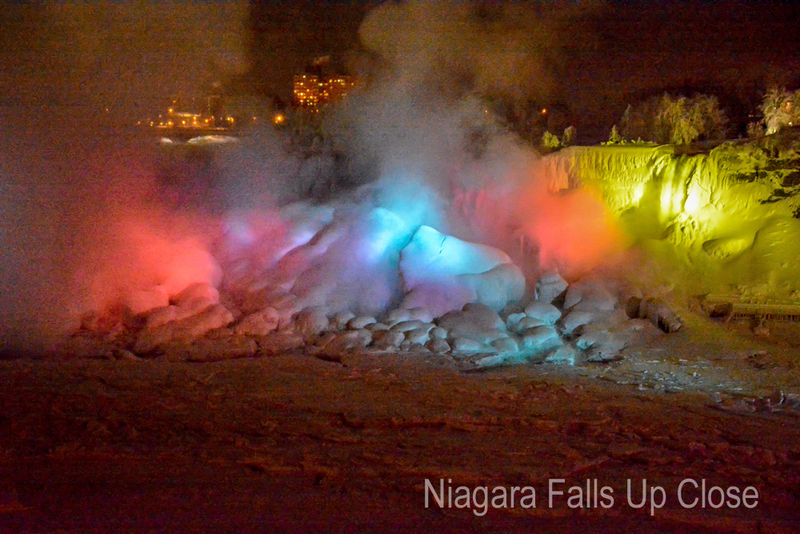 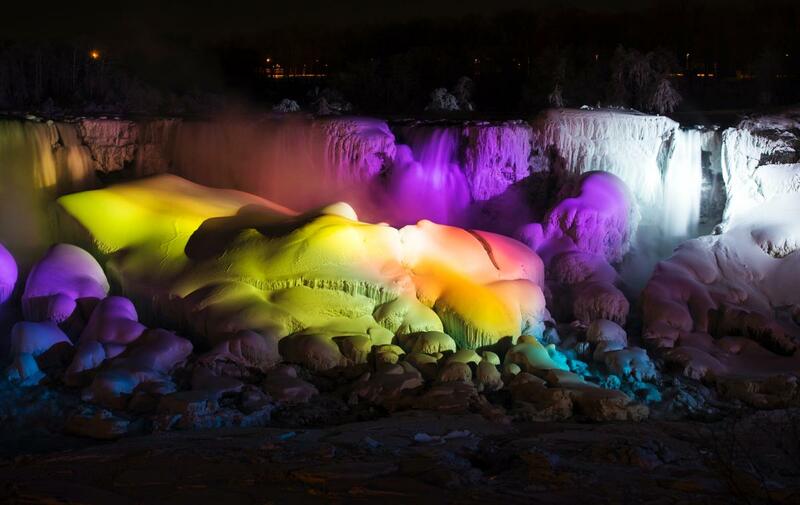 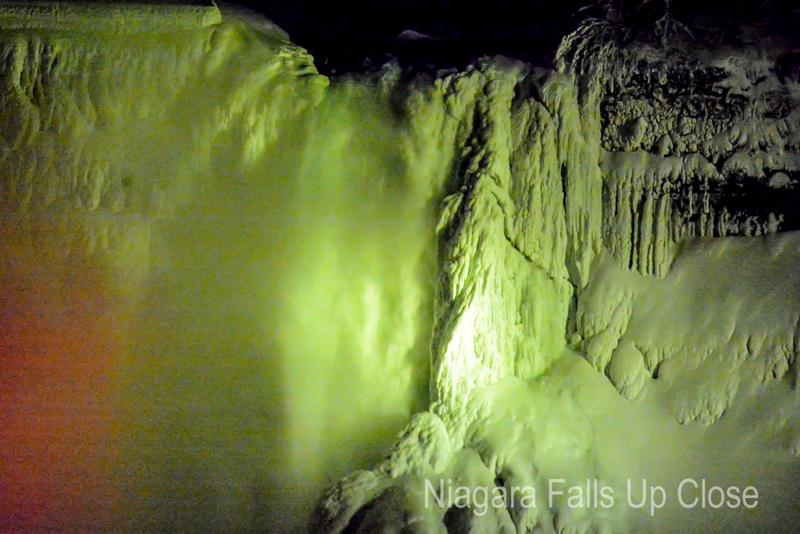 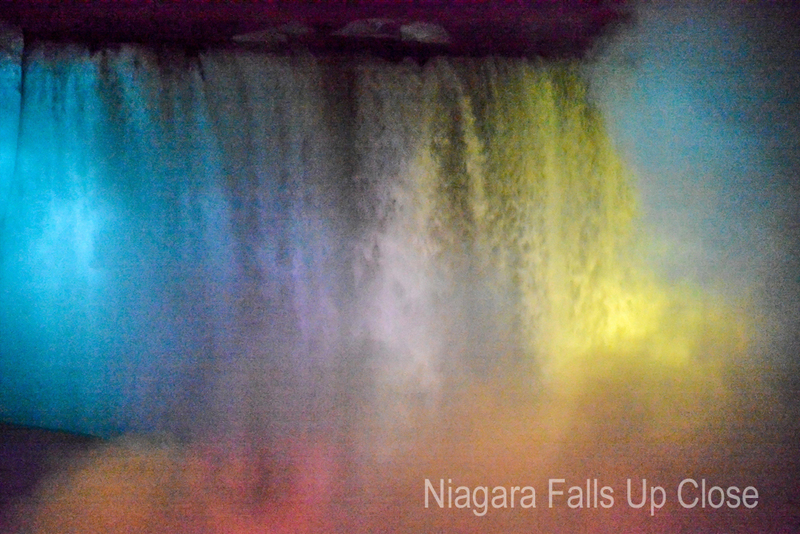 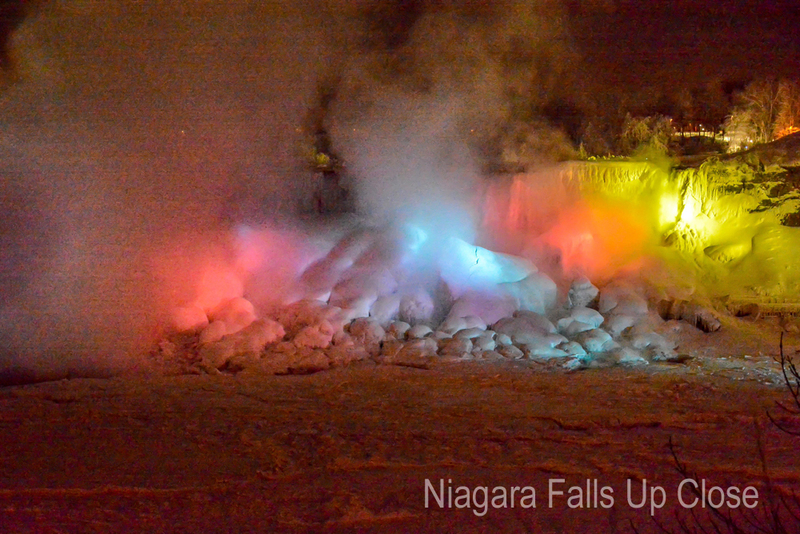 At night the illuminated Falls is whole other spectacle as the white and colored lights give both the American and Horseshoe Falls almost a “ice cream” like appearance. 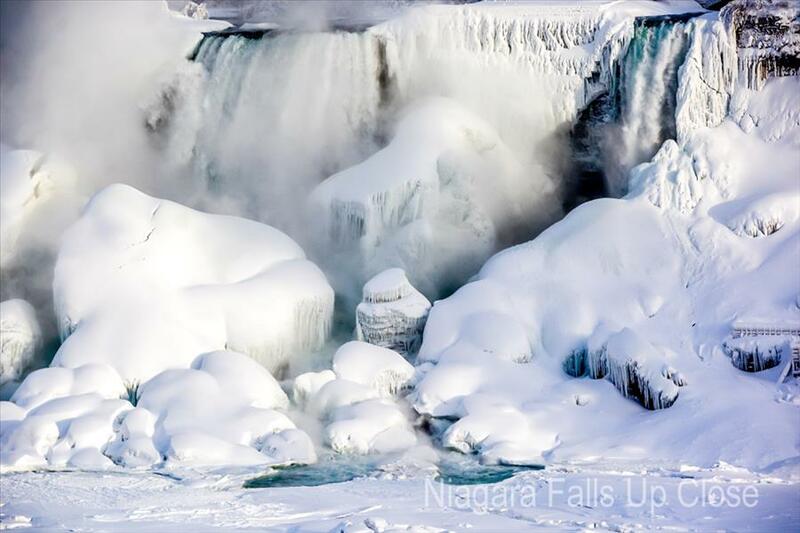 When the temperatures fall below zero the American Falls can give the appearance that they have been frozen over. 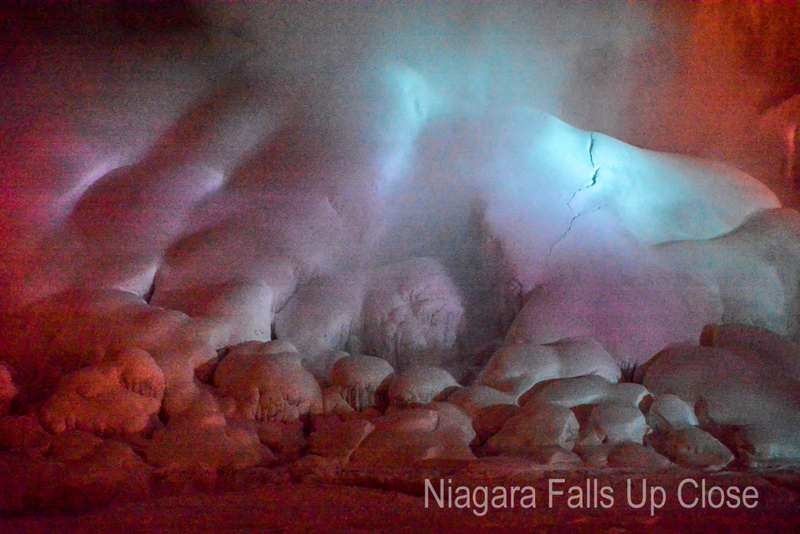 That is actually an illusion as the water continues to fall beneath the ice and into the snow and ice covered boulders below. 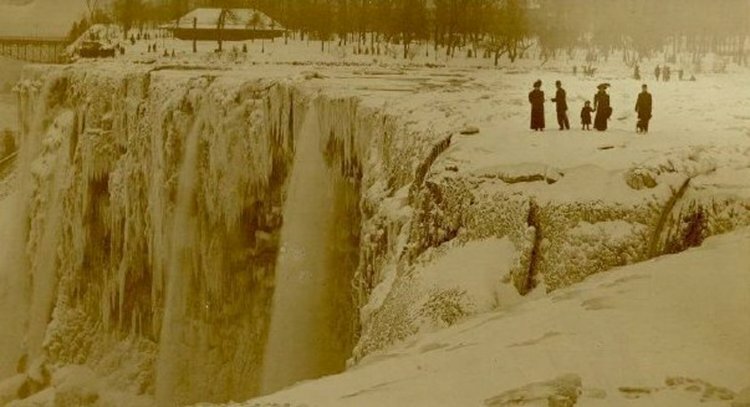 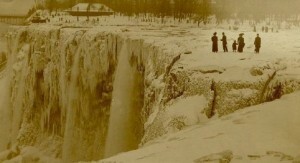 Before the creation of the hydro electric power plants on both sides of the border and the ice boom installed at the mouth of the Niagara River the American Falls had actually come to a halt in 1911 because of the ice jam that was created in the shallow river bed. 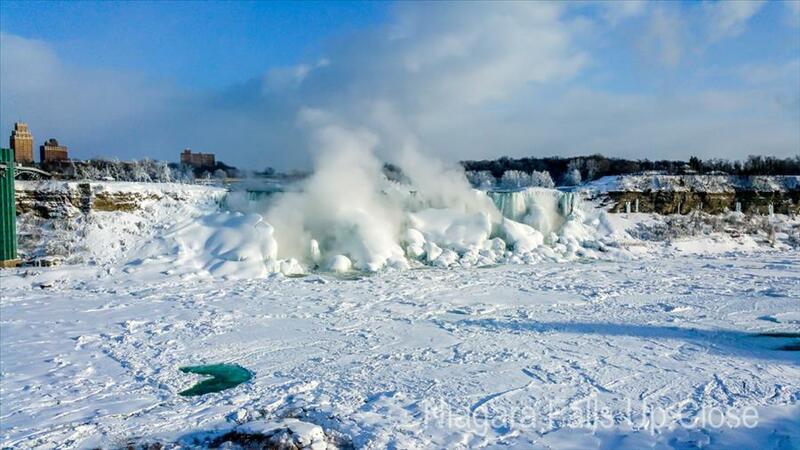 Since the creation of the ice boom the amount of ice that flows down the Niagara River and over the Falls has been greatly reduced. 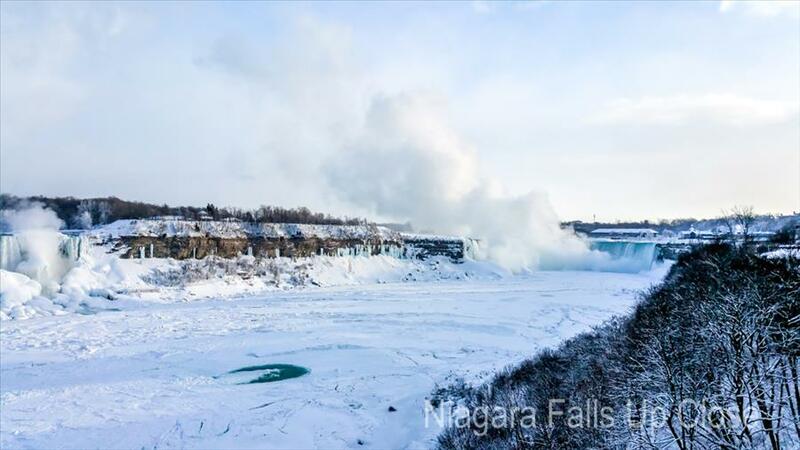 The mist from the Falls also creates a scene out of a child’s storybook, looking as if Jack Frost had paid a visit to the area covering within the immediate vicinity of the Falls in a coating of ice. 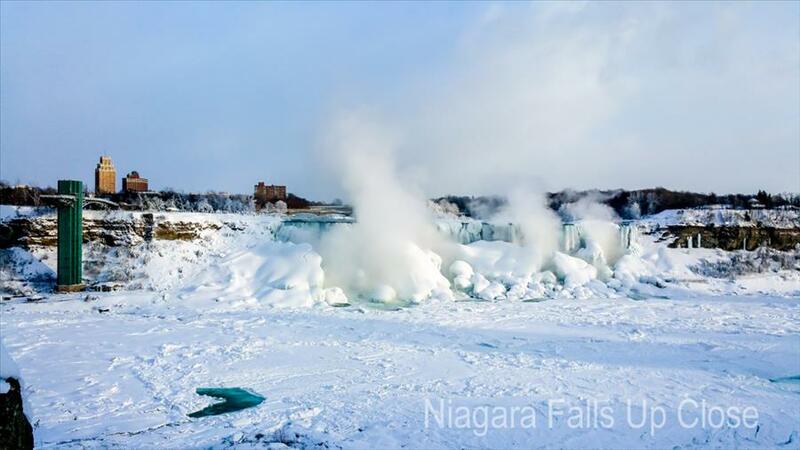 The ice is so thick in the Niagara Gorge and at the base of the Falls that the wooden stairways created for the “Cave of the Winds” tour on the American side are taken down every fall and re-assembled in the spring so that they are not torn apart by the massive weight of the frozen waters.